NEBRASKA offers the following programs to help undergraduate students gain wider access to support and pursue greater opportunities through higher education. The Ronald E. McNair Program is administered through the Office of Graduate Studies and is funded by a U.S. Department of Education grant, with additional university in-kind support. Its aim is to increase numbers of underrepresented students in doctoral programs. Our McNair Scholars Program prepares selected undergraduates for graduate study by providing opportunities to define goals, engage in research, and develop the skills and student/faculty mentor relationships critical to success at the doctoral level. Learn more on the McNair Scholars Program website. 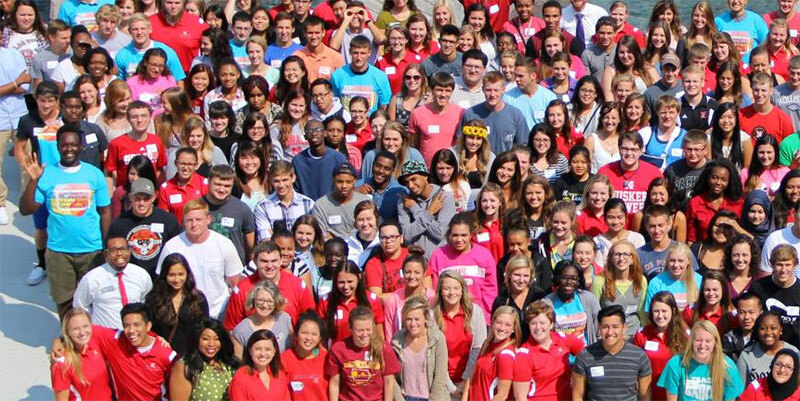 The Jones Scholars Learning Community brings together students of any major interested in making the most of their first year of college through a focus on leadership, academic excellence, and service to others. The community also has a vibrant network of alumni - both at NEBRASKA and beyond - offering Jones Scholars a variety of networking opportunities. Learn more on the Jones Scholars Learning Community website. Recipients of the Susan T. Buffett Scholarship who choose to attend the university automatically become members of the William H. Thompson Scholars Learning Community. Its goal is to foster the potential and build on the achievements of student members by supporting their academic, personal, and social development through a variety of opportunities, programming, and classroom experiences. Learn more on the Thompson Scholars Learning Community website.